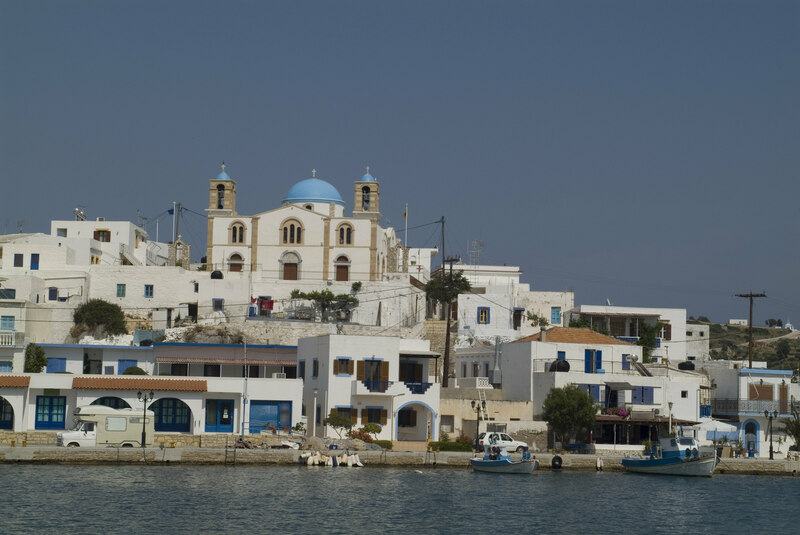 There is certainly no shortage of gorgeous villages to explore on this island. It’s one of the reasons why it’s so easy to get lost here! Lipsi Village is where most of the island’s activities are concentrated. Aside from the fact that basing your stay here is highly practical, it’s also a stunning village and well worth your time to explore. Meander through the streets and observe the intimate details of Greek village life. Since the village hugs the harbor, there are also some gorgeous views of the sea. Be sure to visit the Panagio tou Harou Greek Orthodox Church to enjoy the beautiful architecture and also take in the stunning view that the church has. Don’t forget your camera because both the church and sea look absolutely stunning from this vantage point. Like most places in Greece, the local cuisine here is truly spectacular. 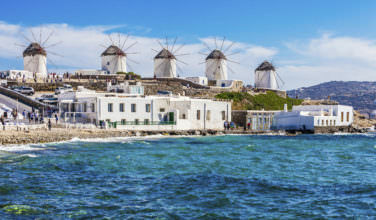 Aside from the traditional Greek diet, which involves plenty of fresh produce, local seafood, and other delicious treats, you can also find items in specialty shops that are unique to the island. 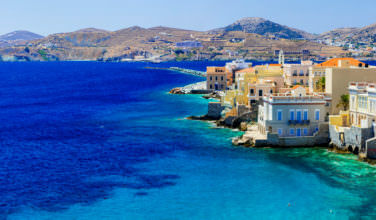 If you get a chance, pick up a jar of honey that has been made from thyme flowers and definitely sample some mzithra cheese, which the island is particularly known for. There are several tavernas, cafes, and restaurants located in the main areas. Ask the locals for advice as to which ones will give you the best meal. When people do visit the island, they seem to spend endless amounts of time on the beach, especially during peak season. The major beaches are scattered throughout the island, but since the island is only 8 kilometers long, they’re all easily accessible to the main village. If you only have time to visit one of the beaches, you won’t want to miss Kambos Beach, which is one of the most picturesque on the island. 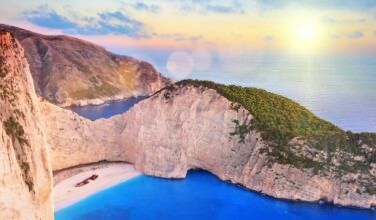 Other beaches include Elena Beach, Katsadia Beach, and Platis Gialos Beach. They’re all well worth a visit! Aside from giving guests a great experience, Lipsi does have a rich history that dates all the way back to Ancient Greece. In fact, it was even mentioned in the Odyssey. This is the island were Odysseus was hed up by the nymph, Calypso, who wanted to claim him as her husband. In a way, this is the effect the whole island has on travelers. Even though a nymph isn’t responsible for it, this is one of those islands where people keep coming back for me.